Hill Evans operated the largest vinegar brewery in the world by 1881, but the firm is almost forgotten today. 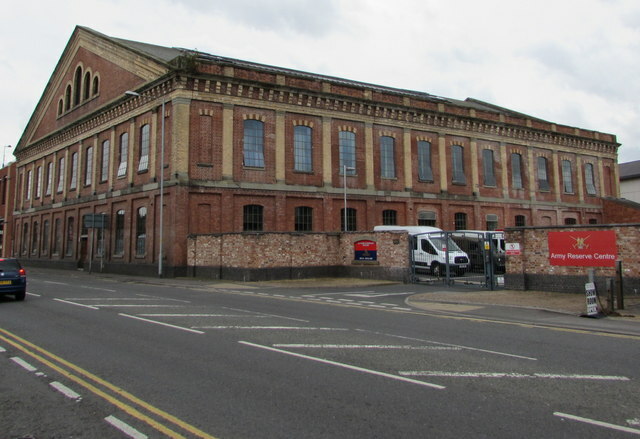 Cowell, Crane & Kilpin established themselves as British Wine manufacturers on Foregate Street, Worcester in the 1760s. William Hill (1788 – 1859), a Wesleyan Methodist from Stourport, and Edward Evans (1788 – 1871), a Welsh chemist, acquired the firm from Charles Kilpin (1770 – 1845) in 1829. Hill and Evans branched out into the production of vinegar. It was not only a highly important commodity for its use as preservative in an era before refrigeration, but the process also utilised the waste from the British Wine production. Hill Evans was the sixth largest brewer of vinegar in Britain, and the largest producer outside of London, by 1844. 153,875 gallons of vinegar were produced in 1848. Edward Bickerton Evans (1819 – 1893) and Thomas Rowley Hill (1816 – 1896) had joined their fathers in partnership by 1848. It was the two sons, especially Rowley Hill, who provided the impetus and drive for the business to develop scale. Rowley Hill had been barred from Oxbridge due to his Congregationalist faith, and instead received an education at University College, London. The Hill Evans works held hundreds of thousands of gallons of vinegar stocks by 1852. An 1852 chemical analysis of Hill Evans vinegar commissioned by The Lancet, a leading medical journal, asserted that the firm used sulphuric acid, a widely exploited adjunct which reduced maturation times. Hill Evans & Co refuted this, challenging the editor to conduct “the most rigid analysis of their vinegar…by chemists of acknowledged reputation”. Eminent scientists such as Dr Lyon Playfair (1818 – 1898) were afforded free access to the entirety of the Hill Evans site, as well as their brewing records for the last twenty years. The Lancet was subsequently forced to back down in a rare and humiliating defeat, and acknowledged that sulphate of lime, naturally occurring in the local water, had been mistaken for sulphuric acid. Bickerton Evans and Rowley Hill were the sole proprietors of the firm by 1858. Rowley Hill was a generous benefactor, with a strong work ethic and high integrity. Bickerton Evans was a down-to-earth Baptist. Hill Evans established a reputation as a model employer. 1,048,229 gallons of vinegar were produced in 1858. This had risen to an annual output of two million gallons of vinegar by 1866, and the firm was by far the largest vinegar producer in Britain, employing around 100 people. Hill Evans was the largest producer of British Wine in Britain, with an annual production of 130,000 gallons in 1868. By this time the firm had established a London depot at Eastcheap. Continuing growth saw the firm build a small private railway in 1870 to connect it to the Great Western & Midland Railways. Rowley Hill and Bickerton Evans retired from the firm in 1874, and distributed a bonus of £1,173 among their 118 employees. They were succeeded by Edward Wallace Evans (1847 – 1901), Thomas William Hill (1843 – 1898) and Edward Henry Hill (1849 – 1911). Edward Wallace Evans was an excellent businessman, and much of the subsequent growth of the firm was credited to him. Hill Evans was the largest vinegar brewery in the world by 1881, with annual production of two million gallons a year. A single mash tun had a capacity of 12,307 gallons. There were eleven fermenting vats, each with a capacity of 15,000 gallons. A single storage vat with a capacity of 114,821 gallons was the largest vat in the world. All told, the brewery had a storage capacity of 500,000 gallons of vinegar. The brewery held more than 100,000 casks. Rowley Hill died in 1896. He left a personal estate valued at £170,322. Hill Evans became a limited company in 1900, with a share capital of £150,000, in order to pay out the share of the company owed to Thomas William Hill, who had recently died. It was probably the largest business of its kind in the United Kingdom. It had an annual capacity of 1.5 million gallons of vinegar production. Edward Henry Hill became chairman. Lea & Perrins used Hill Evans vinegar to make their Worcestershire sauce, and Charles William Dyson Perrins (1864 – 1958) joined the Hill Evans board of directors. In later life Wallace Evans suffered from gout in his hands, and on the advice of his doctor, bandaged his hands in cotton wool. After Evans attempted to light a cigar whilst reading a letter, the wool set alight. Evans died from shock as a result of the subsequent burns in 1901. Curiously, he left a relatively modest net personalty of £10,876. The only son of Wallace Evans appears to have played no active part in the business. The works covered around seven acres by 1907. Exclusively English grain was used for brewing. The company probably still had the largest vinegar brewing capacity in the world. Edward Henry Hill died in 1911 and left a net personalty of £147,081. A generous benefactor, he died unmarried. After the founding families ceased to be involved in management, Hill Evans appears to have been milked as a cash cow, with little inward investment. Increased competition saw the company suffer from reduced profitability in the early 1960s. Hill Evans lacked the scale of its larger rival British Vinegar. Hill Evans entered voluntary liquidation in 1967, and the vinegar works were closed. Grade II listed, the vinegar works building is now used by the Territorial Army. Thomas Rowley Hill was my gt. gt. grandfather. His son Edward Henry was married to Agnes Elizabeth BAILEY. The marriage took place at St. Georges, Worcester on 1 – 6 – 1870. They lived at Broadwas Court and are both buried at Broadwas Church.